1. Дорофейков ВВ. ST2 – новый маркер сердечной недостаточности и прогноза пациентов с сердечно-сосудистыми заболеваниями. Лаборатория. 2014; 4: 18–22. Dorofeykov VV. ST2 – novyy marker serdechnoy nedostatochnosti i prognoza patsientov s serdechno-sosudistymi zabolevaniyami. Laboratoriya. 2014; 4: 18–22. 2. Weinberg EO. ST2 protein in heart disease: From discovery to mechanisms and prognostic value. Biomark Med. 2009; 3: 495–511. [PMID: 20477519]. 3. Dieplinger B, Januzzi JLJr, Steinmair M, Gabriel C, Poelz W, Haltmayer M et al. Analytical and clinical evaluation of a novel high-sensitivity assay for measurement of soluble ST2 in human plasma – the Presage ST2 assay. Clin Chim Acta. 2009; 409: 33–40. 4. Mueller T, Dieplinger B, Gegenhuber A, Poelz W, Pacher R, Haltmayer M. Increased plasma concentrations of sST2 are predictive for 1-year mortality in patients with acute destabilized heart failure. Clin Chem. 2008; 54: 752–756. 5. Wojtczak-Soska K, Pietrucha T, Sakowicz A, Lelonek M. Soluble ST2 protein in chronic heart failure is independent of traditional factors. Clinical research. 2013; 9 (1): 21–26. 6. Shimpo M, Morrow DA, Weinberg EO, Sabatine MS, Murphy SA, Antman EM et al. Serum levels of the interleukin-1 receptor family member ST2 predict mortality and clinical outcome in acute myocardial infarction. Circulation. 2004; 109: 2186–2190. 7. Schmitz J, Owyang A, Oldham E, Song Y, Murphy E, McClanahan TK et al. IL-33, an interleukin-1like cytokine that signals via the IL-1 receptor related protein ST2 and induces T helper type 2-associated cytokines. Immunity. 2005; 23 (5): 479–490. 8. Daniels LB, Clopton P, Iqbal N, Tran K, Maisel AS. Association of ST2 levels with cardiac structure and function and mortality in outpatients. Am Heart J. 2010; 160: 721–728. 9. Ciccone MM, Cortese F, Gesualdo M, Riccardi R, Di Nunzio D, Moncelli M et al. A Novel Cardiac Bio-Marker: ST2: A Review. Molecules. 2013; 18: 15 314–15 328. 10. DiezJ.SerumsolubleST2asabiochemicalmarkerofacute heart failure. J Am Coll Cardiol. 2008; 52: 1466–1467. 11. Kakkar R, Lee RT. The IL-33/ST2 pathway: Therapeutic target and novel biomarker. Nat Rev Drug Discov. 2008; 7 (10): 827–840. 12. Bartunek J, Delrue L, van Durme F, Muller O, Casselman F, de Wiest B et al. Nonmyocardial production of ST2 protein in human hypertrophy and failure is related to diastolic load. J Am Coll Cardiol. 2008; 52 (25): 2166–2174. 13. Bhardwaj A, Januzzi JLJr. ST2: a novel biomarker for heart failure. Expert Rev Mol Diagn. 2010; 10: 459–464. 14. Lupón J, Antonio M, Galán A, Vila J, Zamora E, Urrutia A et al. Combined Use of the Novel Biomarkers High-Sensitivity Troponin T and ST2 for Heart Failure Risk Stratification vs Conventional Assessment. Mayo Clin Proc. 2013; 88 (3): 234–243. 15. Weinberg EO, Shimpo M, De Keulenaer GW, MacGillivray C, Tominaga S, Solomon SD et al. Expression and regulation of ST2, an interleukin-1 receptor family member, in cardiomyocytes and myocardial infarction. Circulation. 2002; 106: 2961–2966. 16. Maisel AS. Cardiac Biomarkers: Expert Advice for Clinicians. JayPee Brothers. 2012. 17. Seki K, Sanada S, Kudinova AY, Steinhauser ML, Handa V, Gannon J et al. Interleukin-33 prevents apoptosis and improves survival after experimental myocardial infarction through ST2. Circ Heart Fail. 2009; 2 (6): 684– 691. doi: 10.1161/CIRCHEARTFAILURE.109.873240. 18. Januzzi JL, Peacock WF, Maisel AS, Chae CU, Jesse RL, Baggish AL et al. Measurement of the interleukin family member ST2 in patients with acute dyspnea: Results from the PRIDE (Pro-Brain Natriuretic Peptide Investigation of Dyspnea in the Emergency Department) study. J Am Coll Cardiol. 2007; 50 (7): 607–613. 19. Chen LQ, de Lemos JA, Das SR, Ayers CR, Rohatgi A. Soluble ST2 is associated with all-cause and cardiovascular mortality in a population-based cohort: The Dallas Heart Study. Clin Chem. 2013; 59: 536–546. 20. Van Kimmenade RR, Pinto YM, Bayes-Genis A, Lainchbury JG, Richards AM, Januzzi JLJr. Usefulness of intermediate aminoterminal pro-brain natriuretic peptide concentration for diagnosis and prognosis of acute heart failure. Am J Cardiol. 2006; 98: 386–390. 21. Протасов ВН, Скворцов АА, Кошкина ДЕ, Нарусов ОЮ, Терещенко СН. Использование современных биомаркеров в стратификации риска пациентов с сердечной недостаточностью. Кардиологический вестник. 2014; 4: 100–105. Protasov VN, Skvorcov AA, Koshkina DE, Narusov OJu, Tereshchenko SN. 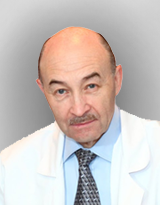 Ispol'zovanie sovremennykh biomarkerov v stratifikatsii riska patsientov s serdechnoy nedostatochnost'yu. Kardiologicheskiy vestnik. 2014; 4: 100–105. 22. Sabatine MS, Morrow DA, Higgins LJ, MacGillivray C, Guo W, Bode Ch et al. Complementary roles for biomarkers of biomechanical strain ST2 and N-terminal prohormone B-type natriuretic peptide in patients with ST-elevation myocardial infarction. Circulation. 2008; 117 (15): 1936–1944. 23. Baba Y, Maeda K, Yashiro T, Inage E, Kasakura K, Suzuki R et al. GATA2 is a critical transactivator for the human IL1RL1/ST2 promoter in mast cells/basophils: Opposing roles for GATA2 and GATA1 in human IL1RL1/ST2 gene expression. J Biol Chem. 2012; 287 (39): 32 689–32 696. 24. Ho JE, Chen WY, Chen MH, Larson MG, McCabe EL, Cheng S et al. Common genetic variation at the IL1RL1 locus regulates IL-33/ST2 signaling. J Clin Invest. 2013; 123 (10): 4208–4218. 25. Boisot S, Beede J, Isakson S, Chiu A, Clopton P, Januzzi J et al. Serial sampling of ST2 predicts 90-day mortality following destabilized HF. J Card Fail. 2008; 14 (9): 732–738. 26. Pascual-Figal DA, Manzano-Fernández S, Boronat M, Casas T, Garrido IP, Bonaque JC et al. Soluble ST2, high-sensitivity troponin Tand N-terminal pro-B-type natriuretic peptide: Complementary role for risk stratification in acutely decompensated heart failure. Eur J Heart Fail. 2011; 13: 718–725. 27. Rehman SU, Mueller T, Januzzi JLJr. Characteristics of the novel interleukin family biomarker ST2 in patients with acute HF. J Am Coll Cardiol. 2008; 52: 1458–1465. 28. Dieplinger B, Gegenhuber A, Kaar G, Poelz W, Haltmayer M, Mueller T. Prognostic value of established and novel biomarkers in patients with shortness of breath attending an emergency department. Clin Biochem. 2010; 43: 714–719. 29. Kuroiwa K, Arai T, Okazaki H, Minota S, Tominaga S. Identification of human ST2 protein in the sera of patients with autoimmune diseases. Biochem Biophys Res Commun. 2001; 284: 1104–1108. 30. Socrates T, de Filippi C, Reichlin T, Twerenbold R, Breidhardt T, Noveanu M et al. Interleukin family member ST2 and mortality in acute dyspnoea. J Intern Med. 2010; 268 (5): 493–500. doi: 10.1111/j.1365-2796.2010.02263.x. 31. Caporali A, Meloni M, Miller AM, Vierlinger K, Cardinali A, Spinetti G et al. Soluble ST2 is regulated by p75 neurotrophin receptor and predicts mortality in diabetic patients with critical limb ischemia. Arterioscler Thromb Vasc Biol. 2012; 32 (12): e149–e160. doi: 10.1161/ ATVBAHA. 112.300497. 32. Готье СВ, Шевченко АО, Попцов ВН. Пациент с трансплантированным сердцем. Руководство для врачей по ведению пациентов, перенесших трансплантацию сердца. М.: Триада, 2014: 144. Gautier SV, Shevchenko AO, Poptsov VN. Patsient s transplantirovannym serdtsem. Rukovodstvo dlya vrachey po vedeniyu patsientov, perenesshikh transplantatsiyu serdtsa. M.: Triada, 2014: 144. 33. Шевченко АО, Тюняева ИЮ, Насырова АА, Миронков БЛ, Ильинский ИМ, Шевченко ОП, Готье СВ. Способ ранней скрининговой диагностики гуморального отторжения трансплантированного сердца. Патент РФ No 2557699 от 29 июня 2015 г. Shevchenko AO, Tyunyaeva IYu, Nasyrova AA, Mironkov BL, Il'inskiy IM, Shevchenko OP, Gautier SV. Sposob ranney skriningovoy diagnostiki gumoral'nogo ottorzheniya transplantirovannogo serdtsa. Patent RF No 2557699 ot 29 iyunya 2015 g.
34. Pascual-Figal DA, Garrido IP, Blanco R, Minguela A, Lax A, Ordoñez-Llanos J et al. Soluble ST2 is a marker for acute cardiac allograft rejection. Ann Sur Thorac. 2011; 92 (6): 2118–2124. 35. Stehlik J, Starling RC, Movsesian MA, Fang JC, Brown RN, Hess M. et al. Utility of long-term surveillance endomyocardial biopsy: a multi-institutional analysis. J Heart Lung Transplant. 2006; 25: 1402–1409. 36. Turnquist HR, Zhao Z, Rosborough BR, Liu Q, Castellaneta A, Isse K et al. IL-33 expands suppressive CD11b+ Gr-1(int) and regulatory T cells, including ST2L+ Foxp3+ cells, and mediates regulatory T cell-dependent promotion of cardiac allograft survival. J Immunol. 2011; 187 (9): 4598–4610. [PubMed: 21949025]. 38. Januzzi JL, Horne BD, Moore SA, Galenko O, Snow GL, Brunisholz KD et al. Interleukin receptor family member ST2 concentrations in patients following heart transplantation. Biomarkers. 2013; 18 (3): 250–256.